Wanted to share some information about a phone mount company that I've ordered from a few times. 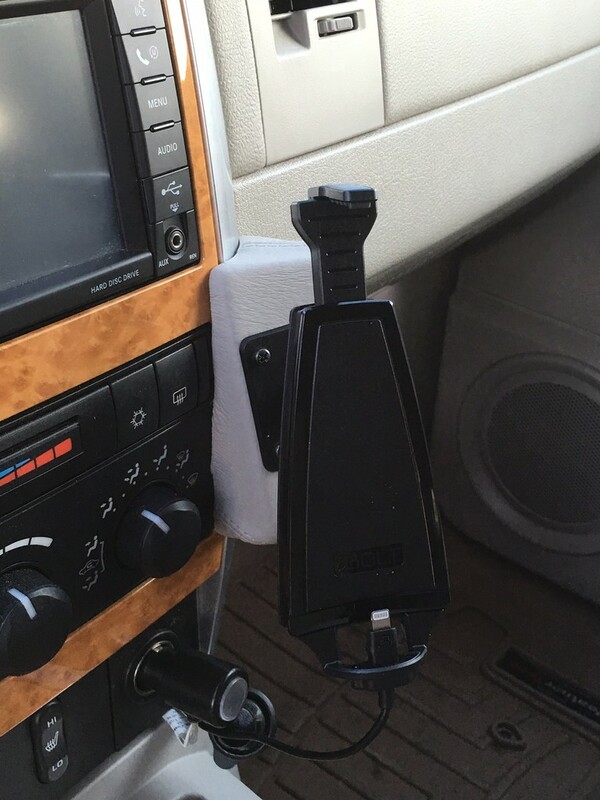 I've actually got two different mounts from this company in my Accord to hold my iPhone and iPod and I just installed one in the Aspen for my iPhone. 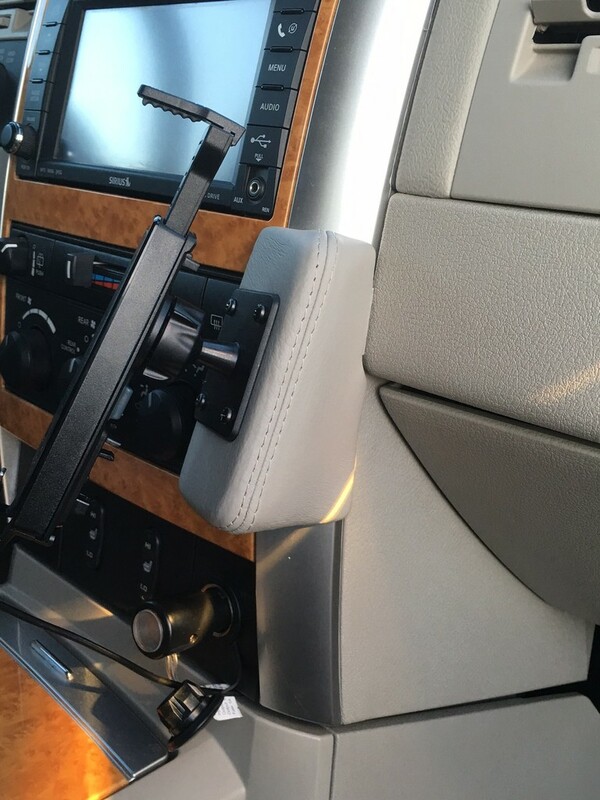 Company is called Kuda (KUDA USA, INC. - KUDA® car custom OEM leather mounts for mobile electronics). 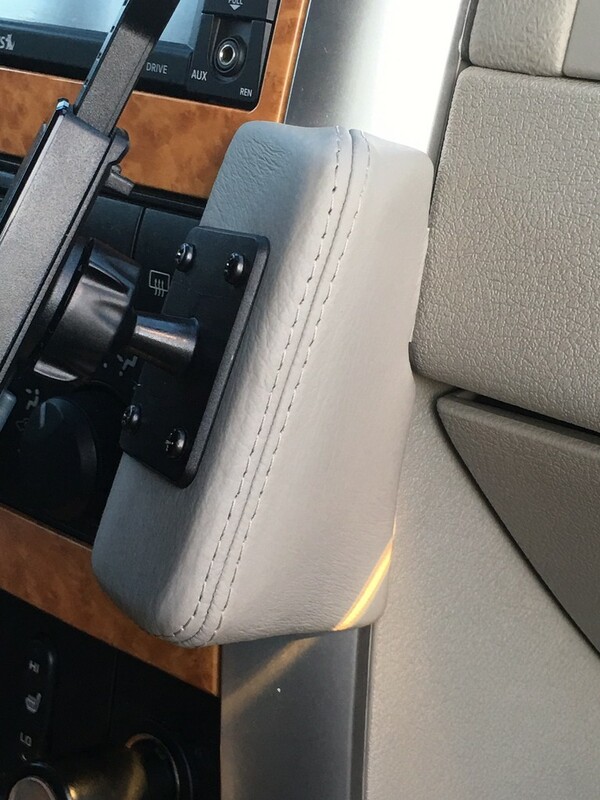 These mounts are custom made fiberglass mounting bases with factory matching leather wrap. They also sell several different phone cradles to attach to these bases. These bases can also be used for mounting GPS units if you prefer. They offer these for many, MANY different vehicles. The base for the Aspen comes in two color choices, Black for $66.10 and Grey for $72.70. The phone cradle I got is for my new iPhone 6S Plus with a OtterBox. It's a little more pricey at $89.99, but it includes the data cable which is attached to the cradle. So all I had to do was run it to a cigarette lighter USB charger.